Hundreds of salt water fish have been found dead on the Donegal-Leitrim coastline off Bundoran. 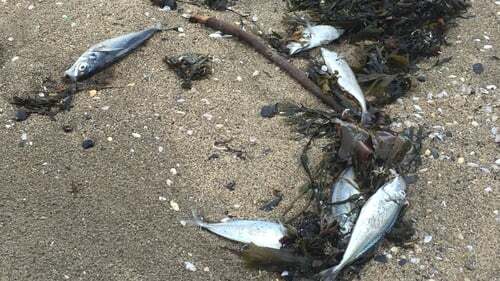 A spokesperson from the Sea-Fisheries Protection Authority (SFPA) said it appears that the dead fish are Atlantic horse mackerel. She said it appears they had been feeding on sprat close to the shore when they became stranded. Both the SFPA and Inland Fisheries Ireland are investigating. In a statement, the SFPA said that it will liaise with both Leitrim and Donegal County Council in relation to the incident. It also said that it expects most of the fish to go out on the next tide.